For those of Boston these days, what’s going on in the rest of the world, beyond our borders, has had little meaning. Yes, Cambridge, with its universities across the Charles River, and their technology geniuses, has been talked much of. The city of Everett, too, for its embrace of Steve Wynn’s proposed billion-dollar casino. At Mayoral Forums, candidates have occasionally cited Montreal or Detroit (Marty Walsh), San Diego (Dan Conley), and New Orleans (Charles Yancey), as models for future Boston or for the challenges. New York City often draws comment. But that’s about it. One almost shies from mentioning, into such an interior monologue, the name “Iran.” Yet Iran is coming to us — its newly elected President, Hassan Rouhani, to the UN, and soon, along with new Foreign Minister Mohammed Zarif; where, it is whispered, the two men might actually meet with President Obama. That would be news indeed. No Iranian President has met an American President since the 1979 overthrow of the last Shah. It hasn’t been even a possibility, nor has it been thought desirable. now it is not just possible but probable. And well worth happening. 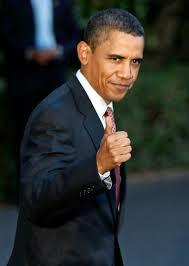 President Obama has often been demeaned by his political enemies here in the US as an ineffective leader. This is a false flag. The President, and his new Secretary of state John Kerry, have made major moves these past few months, and they have moved the chess pieces in a positive direction. First came the restart of Israel-Palestinian peace talks. 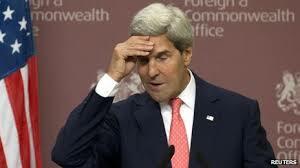 then came the Syria chemical weapons disposal real — begun by accident maybe but well finished by full intention. Now comes a possible agreement with iran, the palpable result of a tough economic sanctions policy held to by our President. Reaching any kind of agreement with Iran will likely prove tougher than them all. Hassan Rouhani may represent the reformists in Iran, but their reforms are all domestic to Iran; on the question of achieving nuclear weaponry, the reformists seem as resolute as the hard-liners. Still, the rhetoric has changed entirely. President Mahmoud Ahmadinejad cursed and insulted Israel every day for breakfast. Rouhani tweeted Rosh Hashana greetings to Jews all over the world. Clearly Rouhani wants to at least talk to the “evil” West. That is good news for sure; but talk is sometimes more dangerous than enmity. When rivals talk, they begin, willy nilly, to respect each other, even to like one another. That makes disagreement harder. And we and Iran will surely disagree. What, then, will Rouhani, Zafir, Kerry and Obama talk about ? Iran’s nuclear weapons project of course. Probably they will only agree to commence formal discussions on the topic. These have been held before and failed. 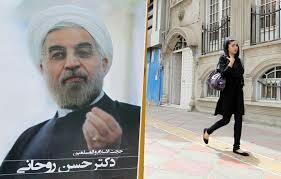 Rouhani remembers that well, because he was then Iran’s discusser; and its failure hurt his political career. Now he’s back, with the full confidence of the big man, “Supreme leader” Ali Khamenei. Rouhani will not want to fail again to reach some agreement. He has given Zarif full power to be Iran’s negotiator. 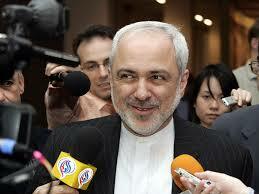 Zarif is an unusual Iranian. He was educated in America and has lived more than half his life here. Perhaps Obama and Rouhani will agree only to talks. That go nowhere. Still, the two men will have met each other. that cannot be undone. A new era in Iran – American diplomacy will have begun. It will have its own momentum. Israel and Russia will be watching closely. So will Bashir Assad. He might just be the trading piece. That would indeed be good news. Previous PostBOSTON ELECTION : FOR AT-LARGE CITY COUNCILNext PostBOSTON PRIMARY DAY : TURNOUT ?